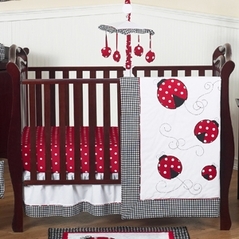 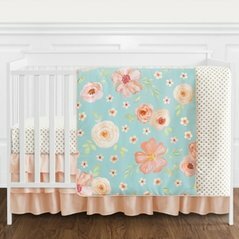 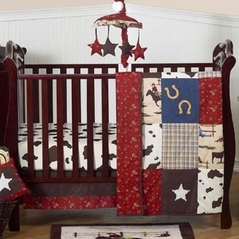 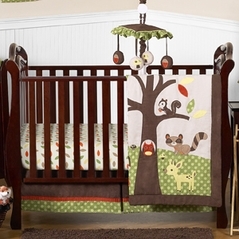 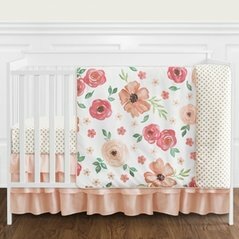 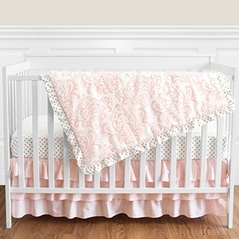 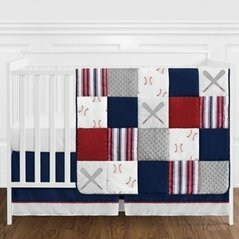 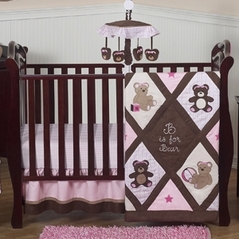 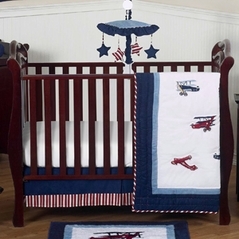 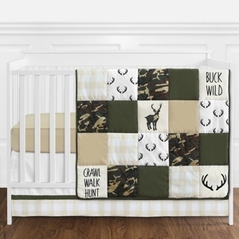 Baby bedding is the main focal point of any nursery. 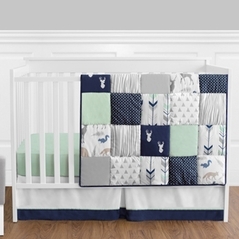 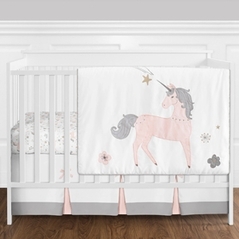 Our 4 piece bumperless starter crib bedding sets are the perfect way to begin the decorating process of your nursery. 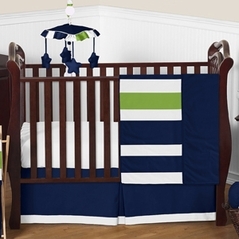 We have an incredible selection of colors, themes, and styles to fit any family’s needs. 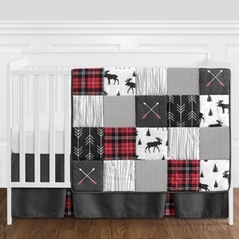 These sets include a crib comforter, bed skirt, fitted sheet, and diaper stacker. 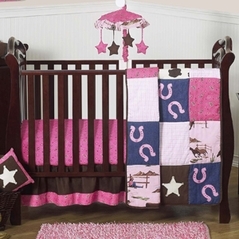 We carry all of the current fashion trends at great prices to offer our customers style as well as value. 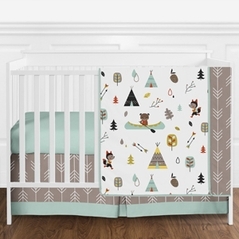 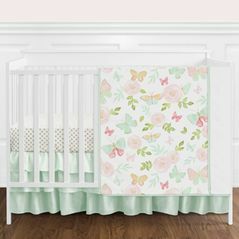 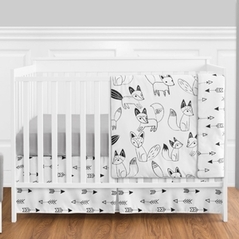 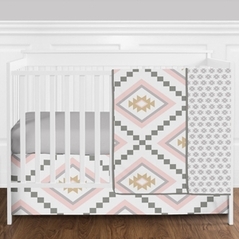 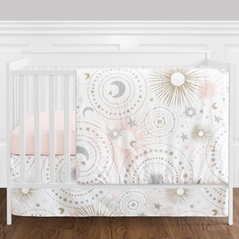 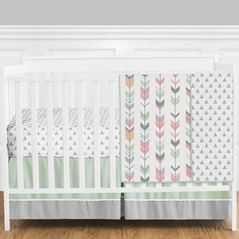 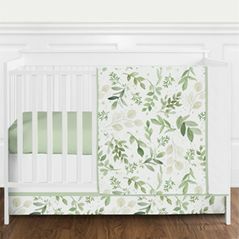 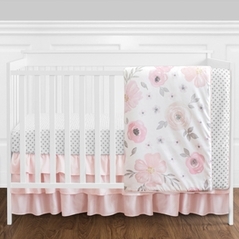 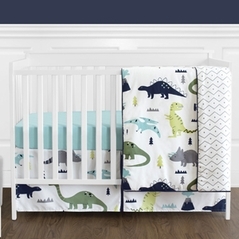 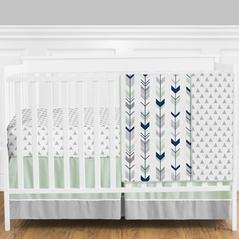 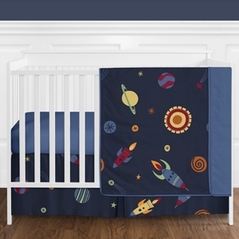 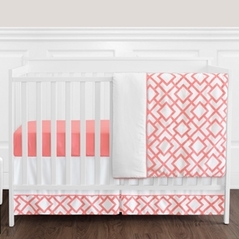 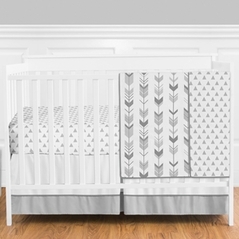 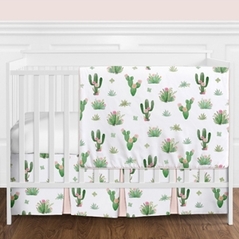 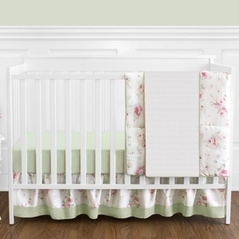 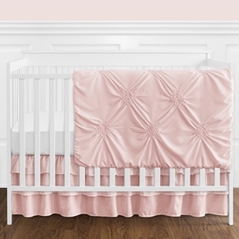 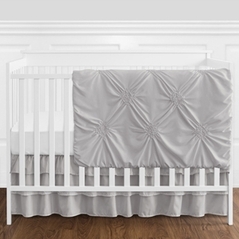 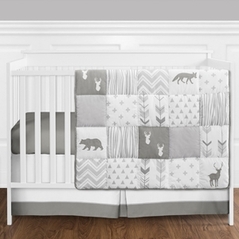 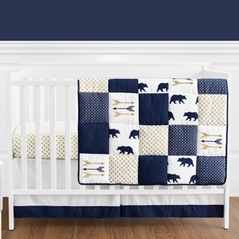 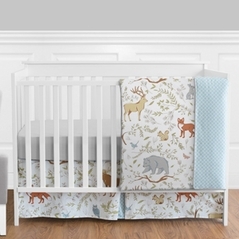 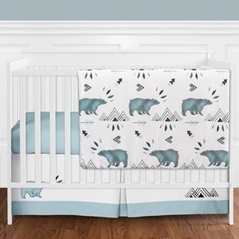 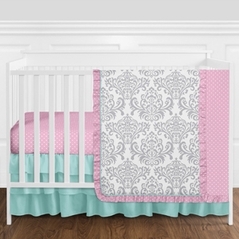 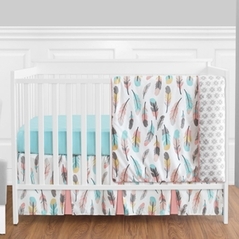 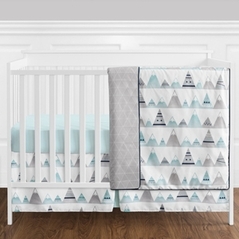 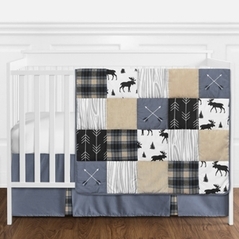 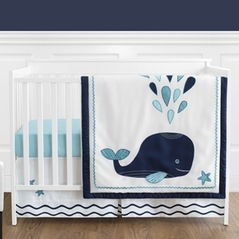 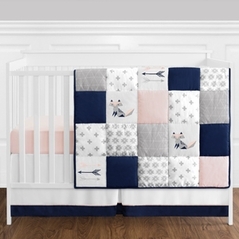 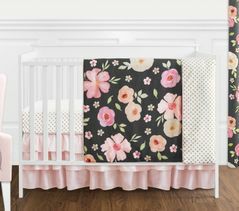 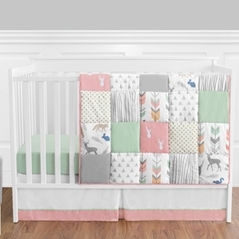 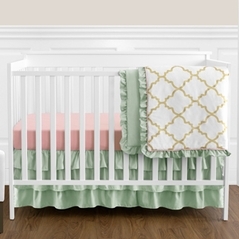 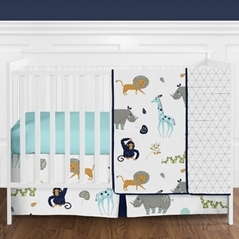 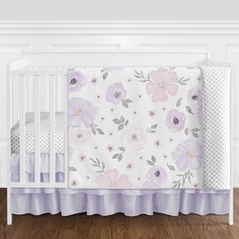 If you still want to add that special something when not using a bumper, be sure to check out our huge selection of coordinating crib rail guard covers which will add a touch of design as well as safety for your little boy or girl. 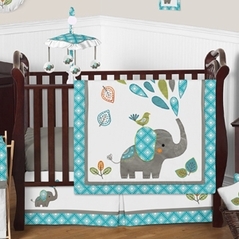 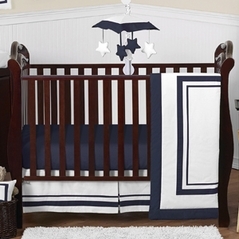 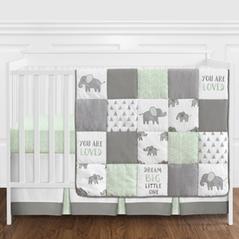 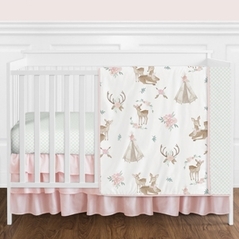 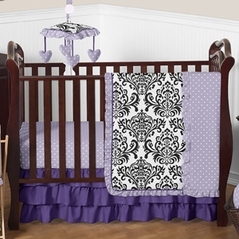 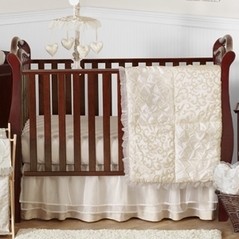 After you have purchased your bedding set, you will need accessories to complete your nursery. 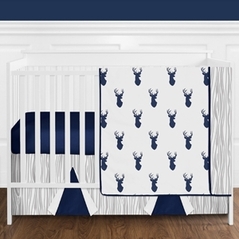 Choose from a wide array of items such as additional fitted crib sheets, decorative pillows, floor rugs, window drapery, and more. 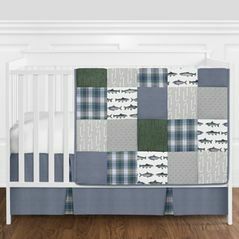 With all the choices at Beyond Bedding, you can finally create the perfect setting for your little one with ease.